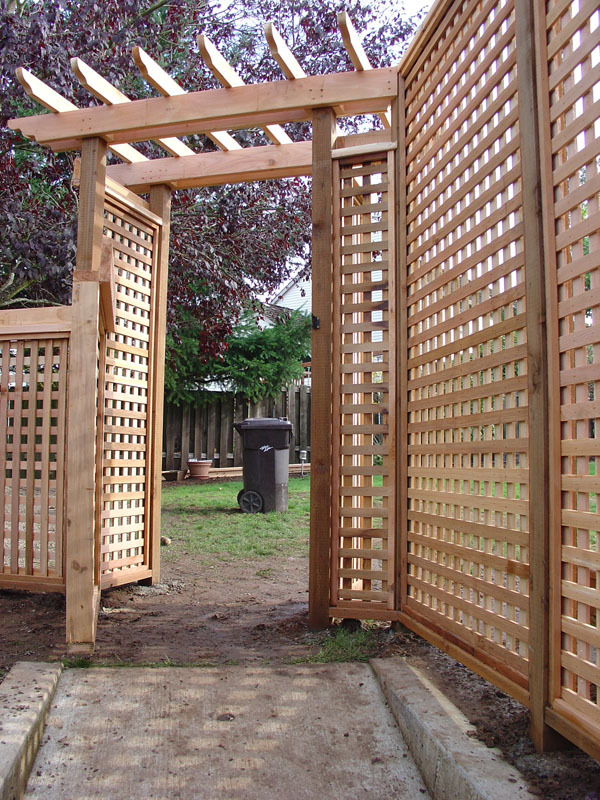 Arbors and Trellises - An arbor is a shady resting place in a park or garden, often made to have plants, such as climbing shrubs or vines, grow on it. 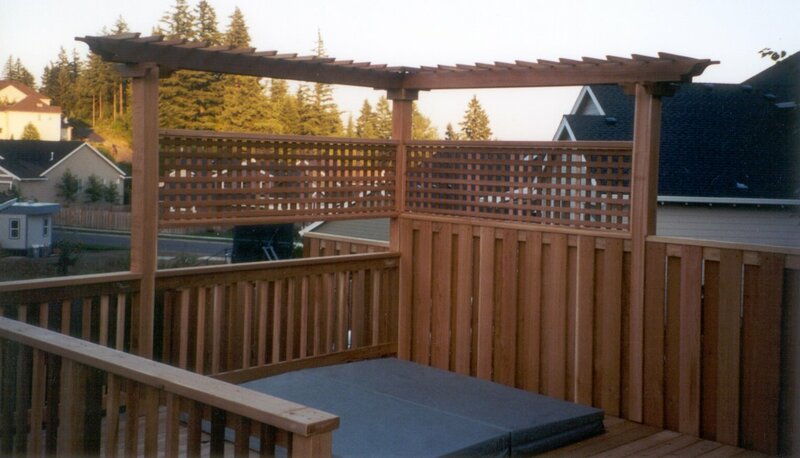 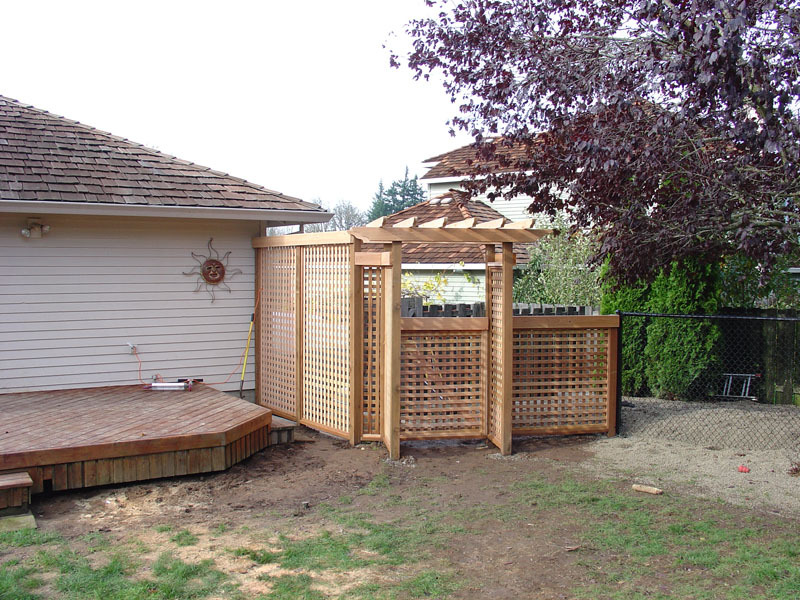 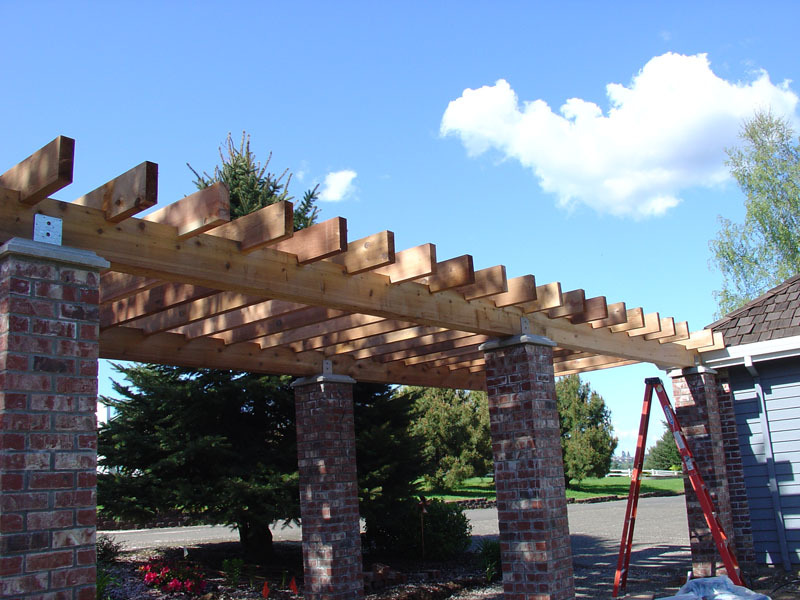 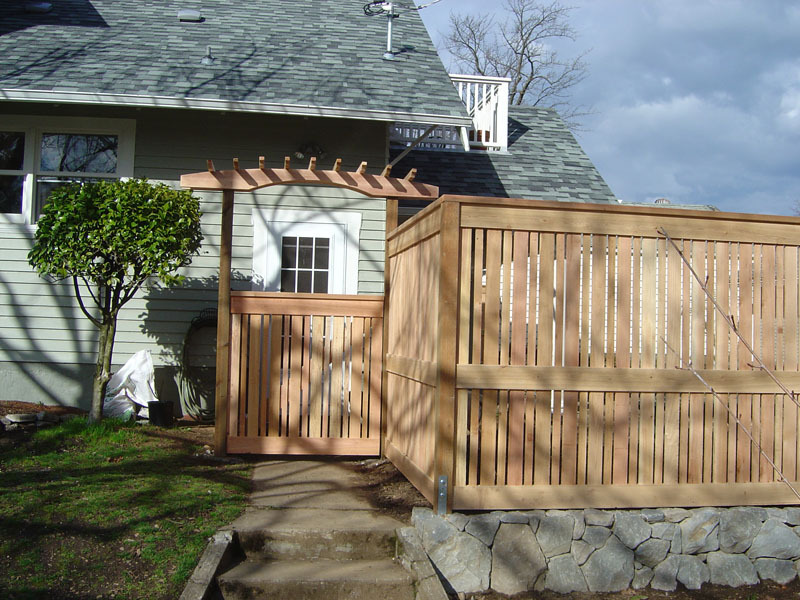 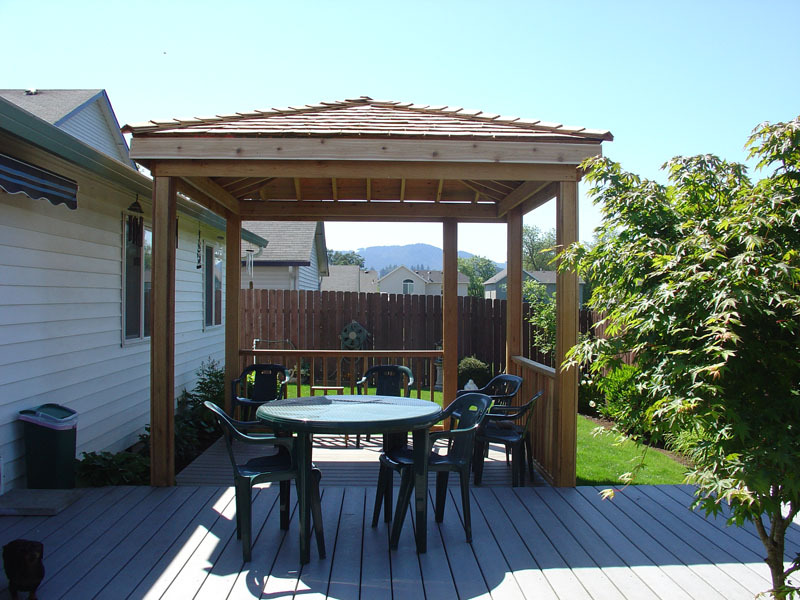 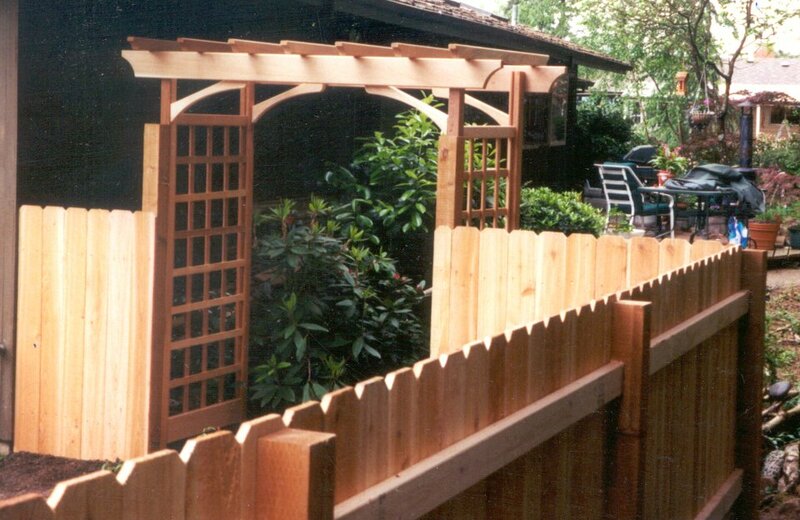 How better to improve your garden or deck than with an arbor made especially for you. 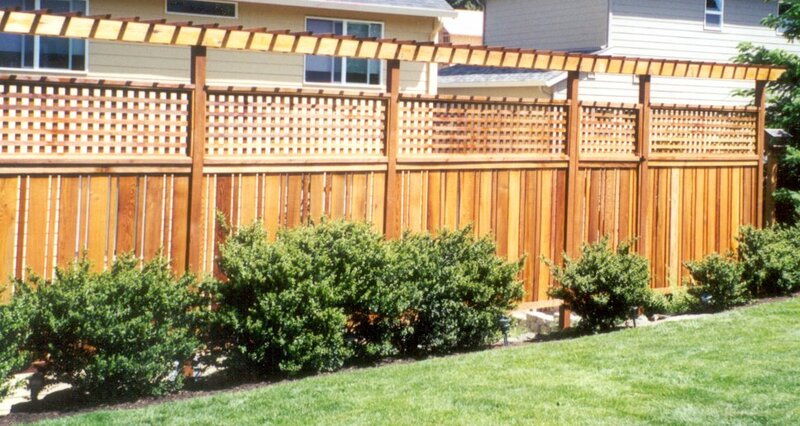 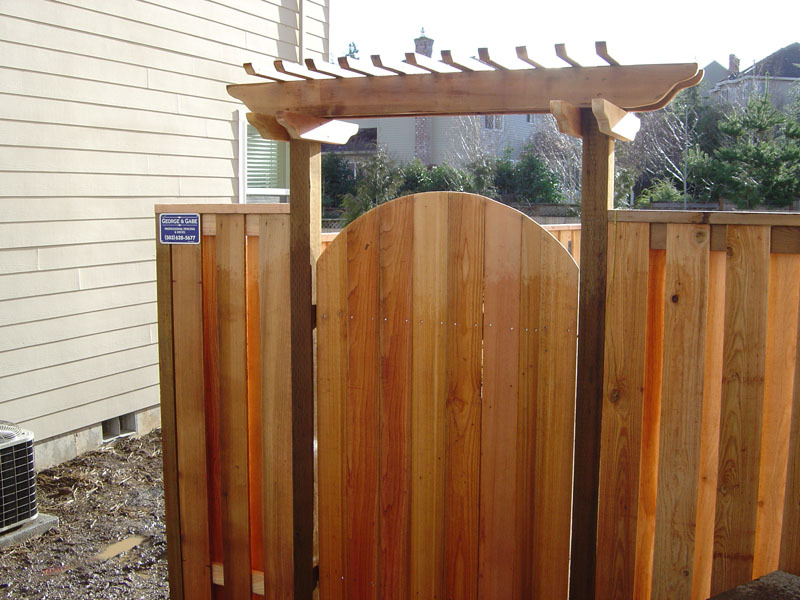 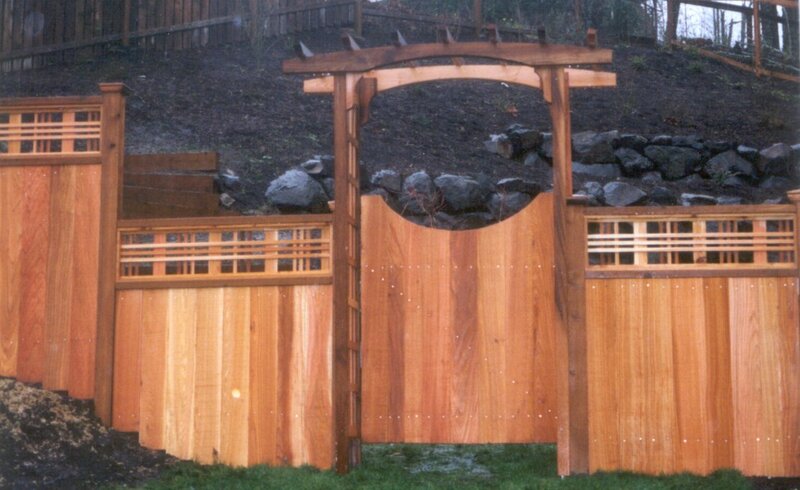 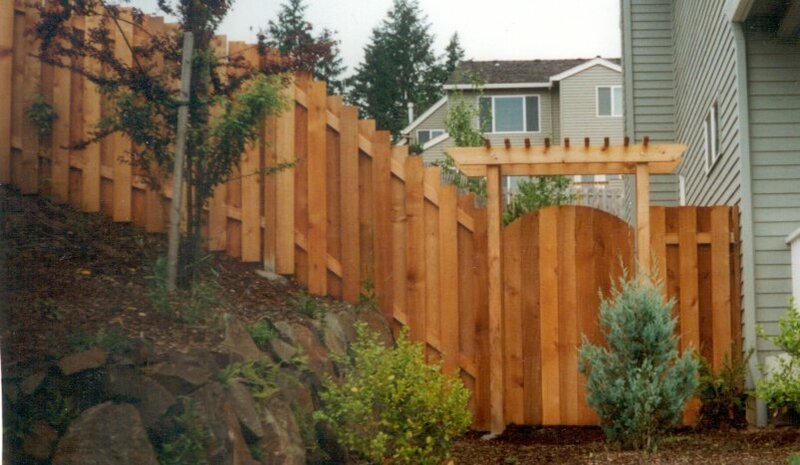 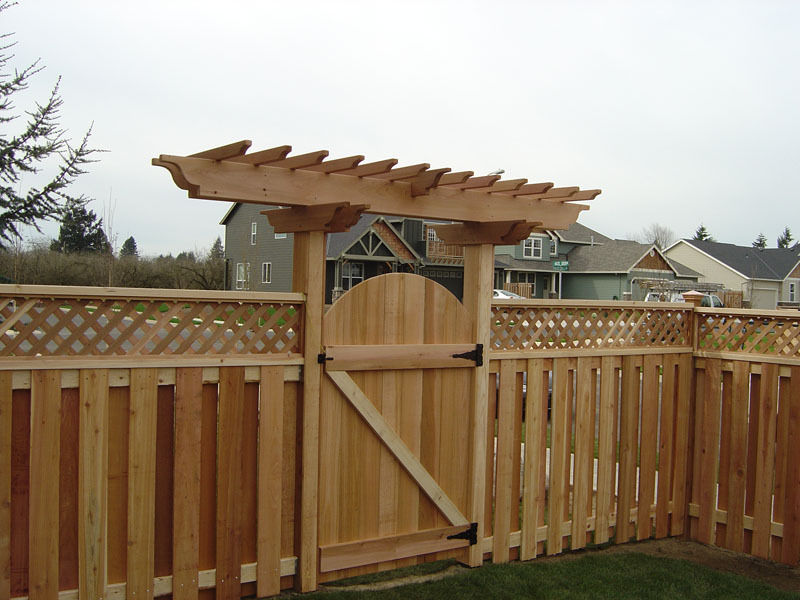 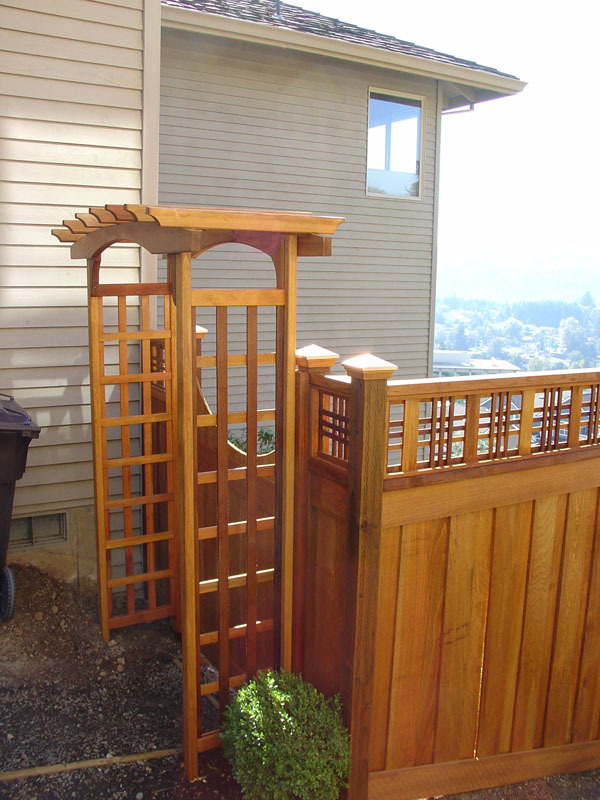 Add a custom made trellis to your fence and create a unique look. 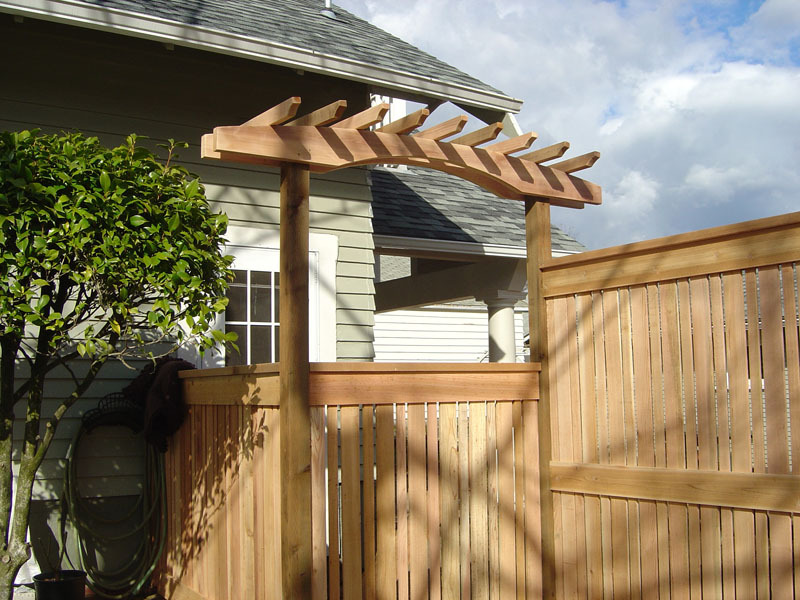 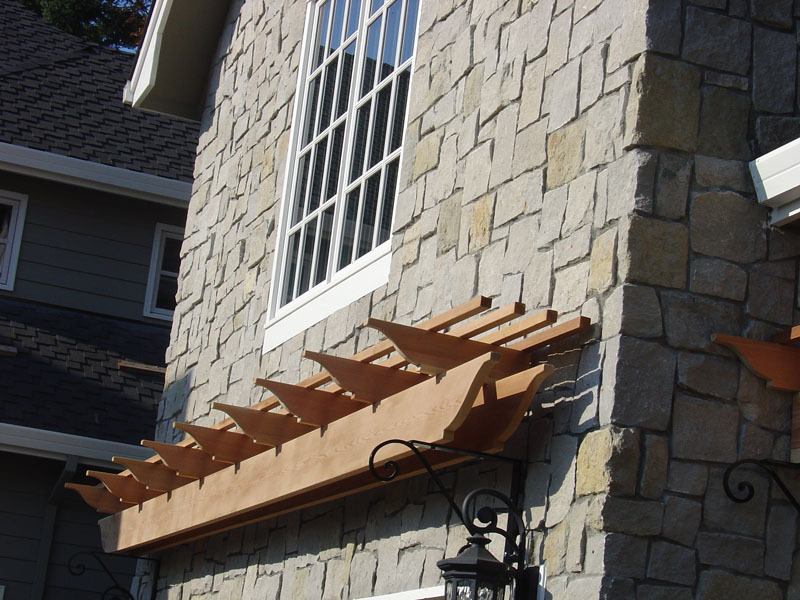 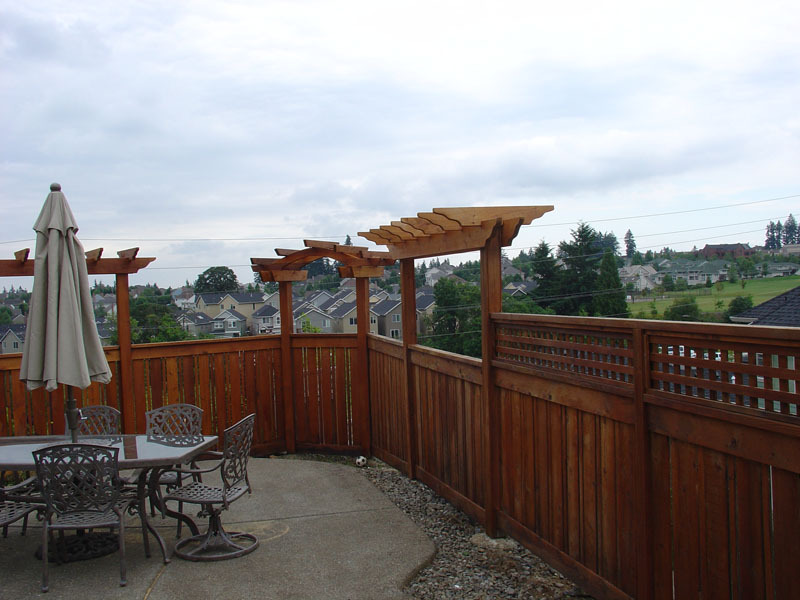 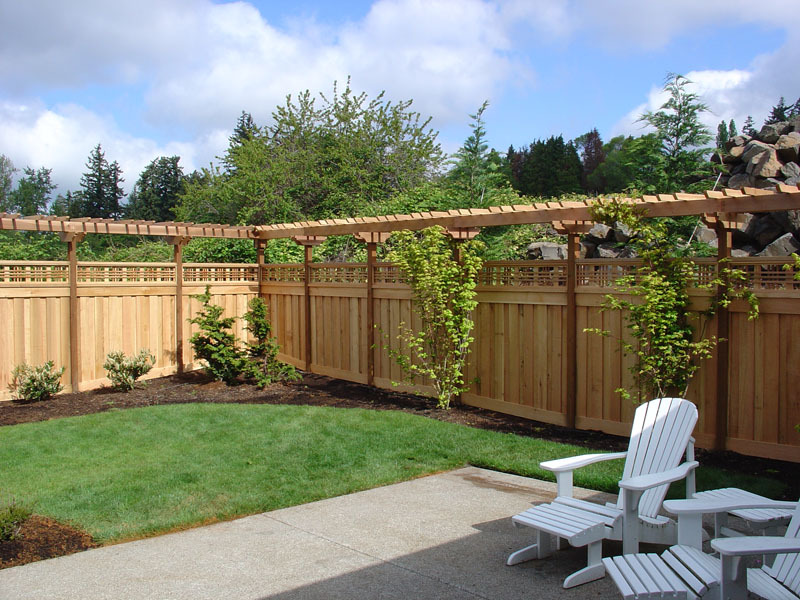 Let us design an arbor or trellis that's just right for your home!